Last week saw Rory McIlroy pick up his 24th professional tournament victory and 15th on the PGA Tour at THE PLAYERS Championship. In securing arguably his highest-profile win since the 2014 PGA Championship at Valhalla, McIlroy would also become only the second winner of the tournament from the British Isles. Even before reaching TPC Sawgrass last week, McIlroy had posted consecutive finishes within the top-6 of each tournament of 2019, so his return to winning ways on Sunday past hardly came as a bolt from the blue. Ranking as number one in strokes gained on the PGA Tour, no other golfer can touch the new world-number-four in terms of consistent play this year so far. He will be hoping to keep the same 'golfing feels' that have served him so well over the next three weeks as we edge closer to Augusta National. You can have all the near misses you want, but nothing prepares you for a tilt at major glory like a visit to the winner's circle. Having put himself into a position to win on numerous occasions, McIlroy was gaining a reputation as a 'Sunday slider' but, thankfully for the four-time major champion, last week's victory at THE PLAYERS Championship reversed that trend (ICYMI, he was in our Players to Watch for the event). 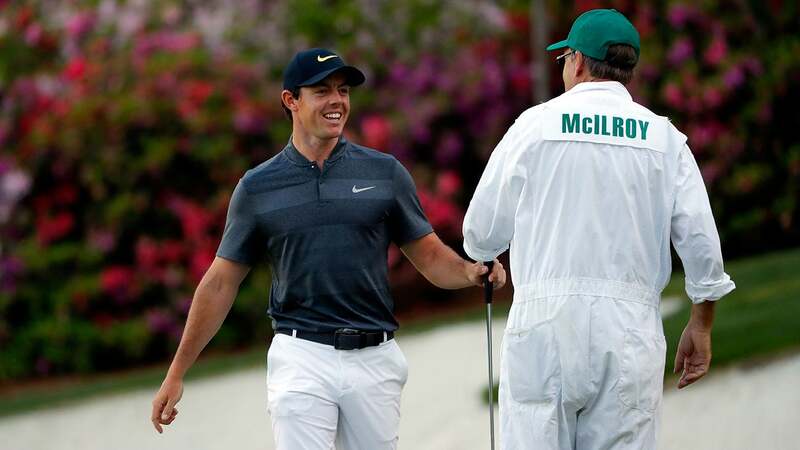 If you cast your mind back to last year's Masters tournament, you may recall McIlroy's near miss (T5) after slumping to a final round 74, but what you may not be aware of is that in each of the past five years the Northern Irishman has managed to place inside the top ten. Familiarity with the course at Augusta National is priceless in a golfer's quest to capture a first Green Jacket, and McIlroy has plenty of both positive and negative memories to draw upon when he tees it up in a few weeks. These could be real difference makers come the back nine on Masters Sunday. We all know McIlroy is as good as anyone tee-to-green, but his recent switch to the TaylorMade Spider X Copper has led to a slight improvement in his PGA Tour putting stats. While still prone to missing the odd 'knee-knocker', he has commented previously that this particular 'short stick' suits his eye. If he can continue this trend over the next few weeks then we could see McIlroy take the final step and become a career grand slam champion. McIlroy is firmly settled into married life and has a whole new perspective these days with the man himself already alluding to the fact that he could shoot 65 or 75 and it not affect his home life in any way. Some were initially worried when, back in 2017, he informed the golfing world that he "doesn't need" golf to feel "complete", but his performances since have proved the burning desire to be the best in the world remains. Of his 'desperation' to complete the career grand slam, when asked recently about his continued pursuit of the Green Jacket he quipped, "I’ve become comfortable with the fact I’ve tried four times, I’ve failed, but Abraham Lincoln lost the first 13 elections he was ever in". Improve your golf game and make some noise in 2019 by joining Hole19 FREE today. Click your iOS or Android button below. You can also learn more about the game-enhancing benefits of Hole19 Premium.